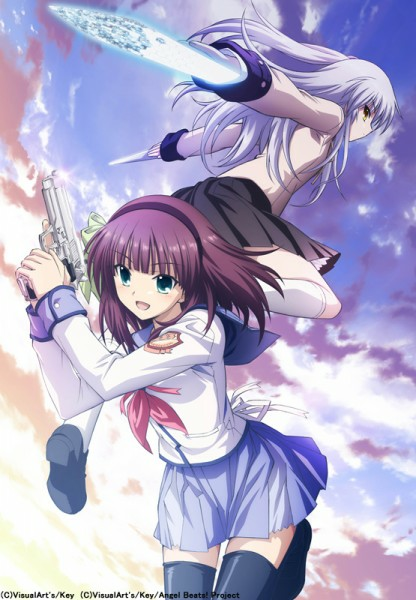 I had forgot that I had watched the first few eps of Angel Beats already, and I remember that I quite liked the idea of it. In fact, I don't know why I stopped watching it...out of these new ones, its probably the one I am most interested in. Railgun started off quite slowly from ep14 and 15, or maybe it was just that I was getting tired and bored towards the end when we showed it. We watch 2 episodes of each series each week, and ocassionally the odd random episode thrown in at the end if we have time. Today though....it was something rather wierd suggested by one of the members. Its called Koe de Oshigoto! Its rather ridiculously explicit, so its probably a good thing our president turned it off before it got too far in. We were kinda paranoid that someone from the uni would walk into the lecture theatre and get us expelled/take away the society privileges or whatever. I'm quite liking the anime we are showing this time round, at least so far. We shall see how it goes. I might write some Impressions of them at some point. I'm also 2 episodes into Full Metal Panic, considering continuing it. So I might write about it also.